David Parkins, President of the College of Optometrists, discusses why it is important for lines of communication to be improved between primary and secondary care providers within the UK. I recently co-authored an article with colleagues from the devolved nations examining the developing role of optometrists working in primary care settings across the UK. This was extremely interesting to research and, as expected, focused on the variation in service models that have developed following devolution. Some nations have chosen to push ahead in certain areas – Scotland with e-referrals and Wales with public health – and it highlighted many examples of good practice. We are all learning and responding to the same challenges – to meet the rising demand for eyecare services through the ability to manage more patients in the community. This requires a different approach to organising services and commissioning at greater scale. For example, national contracts operating across Scotland and Wales mean that all optometrists working there are commissioned to deliver more, being funded to recall patients for repeat tests and follow-up appointments, and to manage patients with non-sight threatening urgent conditions. In England, different models have evolved due to the size and complexity of its commissioning structures. Across the board, the main obstacle remains the lack of IT connectivity – something that the four nations are at different stages in addressing. One thing is absolutely consistent across the UK – we all need to address the lack of integration across the eyecare pathways and ensure there is sufficient capacity within the pathways. More needs to be done to ensure that patients are not delayed or lost to follow-up. In many areas, new community service models may need to be developed to allow the discharge of low-risk patients from hospital eye clinics. One simple solution to support the integration of services is to improve communications between primary care and hospital clinicians. Moorfields at Bedford Hospital have an advice line and provide referral feedback to optometrists, which has made a significant impact on the quality of referrals. Optometrists are increasing their skills and more are investing in new technologies and services – delivering post-operative cataract assessments, and monitoring ocular hypertension in the community. In England, Local Eye Health Networks are now providing the opportunity for eye health professionals, together with patients and the voluntary sector, to work together to identify priorities and redesign services and pathways to meet their local population needs. 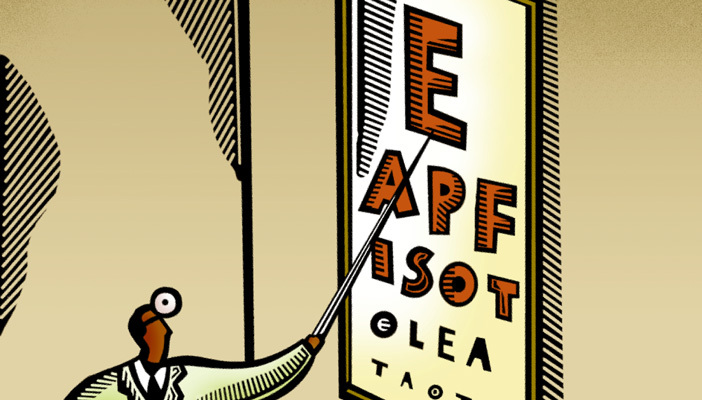 A key message in the GP curriculum is their role in ensuring that patients have regular eye examinations and in coordinating access to community and secondary care services. The Royal College of General Practitioners has included eye health as one of its UK-wide clinical priorities. In all parts of the UK to a lesser or greater extent, optometrists are working with both pharmacists and GPs as part of the wider primary health care team on wider public health issues including smoking cessation, hypertension, diabetes and falls. Throughout the UK, optometrists are already helping to manage more patients in the community. Even more can and will need to be done by them through the development and delivery of more integrated eye care if we are to deal with the current challenges and meet future demand. The developing role of optometrists as part of the NHS primary care team is co-authored by David J Parkins,, Raymond Curram, Janet E Pooley and Barbara Ryan. it first appeared in the College of Optometrists journal, Optometry in Practice OiP, Volume 15, Issue 4.